Rig up sheave wheels are useful when there is a rig in place. They allow for the safe feeding of the cable and tools into a borehole. A tripod with a sheave wheel can be used when there is no rig over the borehole. 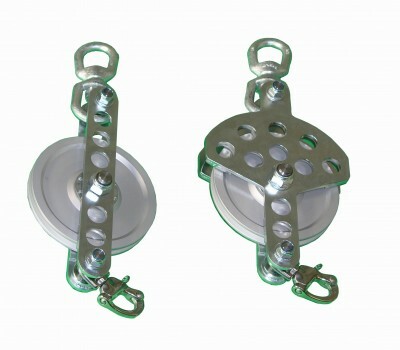 In intermediate cases where neither tripod nor sheave wheels is practicable, parts from either set can be jury rigged to allow for safe cable feeding.